How can MRI help diagnose and treat mental health conditions? Together with neuroradiologists, neurosurgeons use it to visualise tissue damage, oncologists to locate tumours and neurologists to assess lesions caused by multiple sclerosis. But until recently, it was only occasionally used by those who specialise in diagnosing, treating and preventing mental health conditions. For some this might be quite surprising. 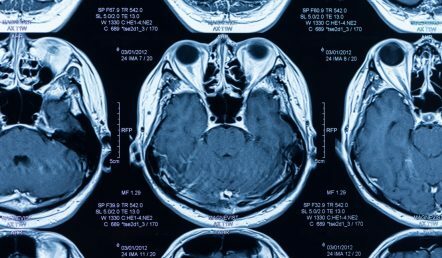 After all, when it comes to the brain, an MRI does more than provide a static image; it measures volume, thickness, neuronal tract density and even activity. In fact, research shows there are structural differences between the brains of patients with diseases like schizophrenia or Alzheimer’s Disease (AD) and the normal brain. One may believe that if you have a mental health problem, surely an MRI could spot it? However, it is not quite so simple. The structural differences shown in research are averages over groups of patients. The brain of every individual is slightly different, so a structural change that suggests schizophrenia in one person may be normal in another. Additionally, there is the problem of diseases with shared symptoms, can share changes on MRI too. Knowing where the dividing line is can be difficult. Recently, though, some in clinicians are beginning to find a line. While MRI has limited clinical use in diagnosing diseases with developmental origin such as schizophrenia or autism (neurodevelopmental) – its use is growing for diseases caused by neuron loss such as dementia (neurodegenerative). This is especially the case in Memory Clinics, where MRI is quickly becoming an integral diagnostic tool. As the UK population ages, memory loss is becoming an increasing concern. Knowing whether that misplaced parked car is a natural sign of aging, or actually early stages of dementia, is difficult using subjective clinical tests. This is where MRI can be useful. When the brain degenerates, memory networks – such as factual, skilled, short-term and long-term – are often affected. With MRI, it is possible to visualise this breakdown in terms of structure and function, and tell some neurodegenerative diseases apart. In AD, for example, damage can be seen relatively early on in the parietal lobe and hippocampus, the region of the brain involved in the formation of new memories. This is why people with AD have problems with short-term memory, yet hold on to past. With Fronto-Temporal Dementia (FTD) the damage is in the frontal lobe and hippocampus. It’s not perfect. Telling apart an ageing brain from a dementia brain, as well as different types of dementia, can be hard during early stages of disease. But when a psychiatrist suspects a type of dementia, MRI is an increasingly useful way of supporting that diagnosis. Here at Oryon Imaging, over the last few years we have seen an increase in referrals for MRI scans on patients with suspected dementia. Dealing with these often confused or distressed patients is something our highly trained radiographers are accustomed to. As research refines the use of MRI in dementia, we expect referrals for this safe and painless scan to keep increasing. 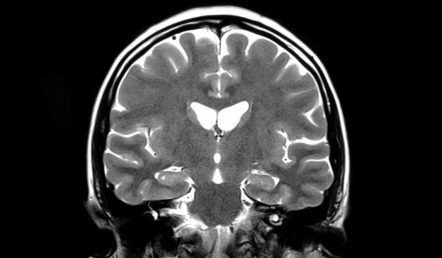 We offer affordable private MRI scans in London, ranging from standard brain scans to more complex dementia protocols.